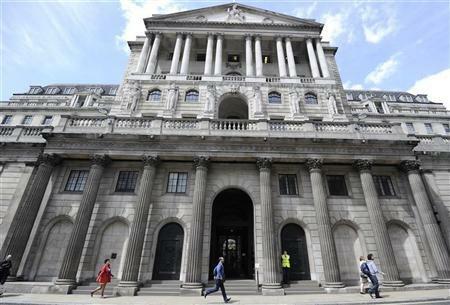 One of the new locations I used in the third Moon Stealer book, The Everlasting Night, is the wonderfully grand building of the Bank of England in London. In the book it has been transformed as a base for a group of survivors trying to rebuild a community following the attack on the human race by the alien creatures. But, the Bank of England has it’s own, rather gruesome history. It is often known as the ‘Old Lady’ of Threadneedle Street, named after Sarah Whitehead, whose ghost is said to haunt the bank’s garden. Sarah’s brother, Philip, a former employee of the bank, was found guilty of forgery in 1811, and executed for his crime. Sarah became ‘unhinged’ and every day for the next 25 years she went to the Bank and asked to see her brother. When she died she was buried in the old churchyard that later became the Bank’s garden, and her ghost has been seen on many occasions since. The Bank of England was founded back in 1694 and was housed in Walbrook in the City of London. The purpose of the Bank was to fund the building of a powerful navy after a crushing defeat by the French in 1690, leaving the country in poor financial health. King William III and his government, had very poor credit and as such the Bank took possession of the governments balances and controlled the issue of banknotes in order to raise the funds needed to build ships. 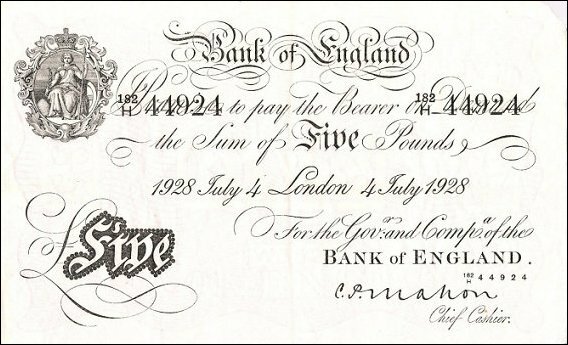 Banknotes in those days were hand written and cashiers had to sign each note and make them payable to someone. It wasn’t until 1855 when they were printed, in black with a blank reverse. The Bank of England holds the official gold reserves of the UK and many other countries. The vault, which is situated beneath the City of London, needs keys that are three feet long to open. 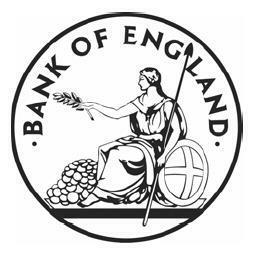 The Bank of England is the fifteenth largest custodian of gold reserves, holding around 4600 tonnes. These gold deposits were estimated in February 2012, to have a current market value of £156,000,000,000. Make sure you follow the blog by adding your email to the link top right. Coming soon – an internal map of the Bank of England, together with the adapted uses of the rooms as featured in the Moon Stealers and the Everlasting Night. Have a look at some of the other locations that feature in the Moon Stealer series. Wow! Fascinating info! I am a closeted history buff, so it was great to read about The Bank of England’s “colorful” past! Hi Jessica, Thank you so much for taking the time to read my posts. I’m glad you found something interesting!